As a writer, designer, printer, passionate socialist and pioneer of the Arts and Crafts Movement William Morris remains an influential and inspirational figure. Visits from schools and local children are vital in strengthening the Society’s links to the community. Over the past 10 years, curator Helen Elletson has been working hard to expand our programme of educational activities. We particularly welcome pupils from Years 5 and 6 who are studying the Victorian period. 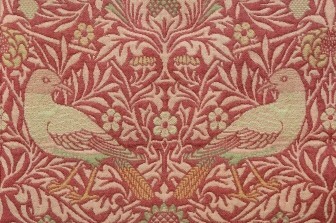 The success of these visits is vital in fulfilling the Society’s remit to bring Morris’ work to a new audience. It also shows that traditional crafts that take their inspiration from Nature can still have a role in the lives of today’s gadget-obsessed kids. Cost: Workshops cost £120 per class of up to 30 children. Two or more of the workshops can be combined. If you would like to arrange an educational visit please contact admin@williammorrissociety.org.uk. The children learn about Morris’s printing press and his interest in illuminated manuscripts, Medieval design and nature, before drawing and ‘illuminating’ a letter with pens on acetate to create their own stained glass design. After an introduction which explores how important nature was to William Morris and looks at the construction of leaves and of repeating designs, the children draw on ‘silk’, inspired by Morris’s natural designs. The children may choose flowers, fruit, leaves etc and they need to focus on three components of their design only (repeated pattern designing). They will also look at wallpaper and fabric patterns, with a focus on repetition, symmetry, colours and textures. At the end of the session the individual pieces are put together forming a large continuous block. We show the children a selection of Victorian objects that we have here at the Coach House, such as a Candle Snuffer, Carpet Beater, Candlesticks, Breadcrumb Sweeper, Nutcracker, Embroidery Sampler, Sugar Cube Tongs, Chamber pot, Ink pot and Bell pull. Retelling “Sigurd and the Dragon”. Based on Morris’s Icelandic Sagas, join Sigurd in his adventures in the mountains where he is advised by Odin and faces the fearsome dragon, Fafnir. He finally vanquishes Fafnir and takes his fabulous treasure. The pupils enact the story in costume ending with a tableau vivant. Following an introduction looking at woodblock and wallpaper books, the children use woodblocks to create designs, and paper, paint and brushes to do the actual printing. Colours will be restricted. Each child creates and prints their own design. We can limit designs to leaves/flowers/birds or other themes which work for the school. The closing ten minutes will look at the Kelmscott Chaucer and the Printing press. 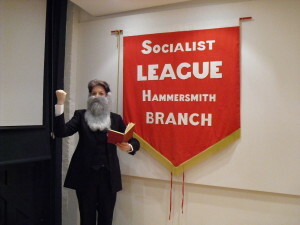 This workshop incorporates The William Morris Society’s socialist memorabilia related to William Morris dating from the Victorian Era for the first time. Morris was a designer in the Arts and Crafts Movement, setting up Morris & Co. on Oxford Street using co-operative style guild workshops and was a prolific writer on workers’ rights and freedom of speech. Children will be encouraged to think about justice, working conditions and how their material environment affects their socio-economic situation through experiential learning, analytical exercises, reflection, and debate, enabling them to build a strong historical grounding. School groups will be split into three rotating teams where they will experience working in a production line, have the opportunity to handle Victorian objects, and develop a campaign which they can continue afterwards, leading to active citizenship. Below you will find the Teacher Resource Pack, Notes for Students booklet and Media Pack available to download or hard copies can be ordered for the price of postage. The William Morris Society is committed to providing a valuable educational resource for all which can be adapted as necessary throughout the United Kingdom. The programme has cross-curricular links to English and History for Key Stage 2 and 3. The workshop has been developed through the Learning Links programme, a Citizenship teacher and also incorporates the British Library’s Campaign! Make an Impact initiative. If any teachers are interested in getting their class involved please contact us and find out more at the British Library Campaign Page. 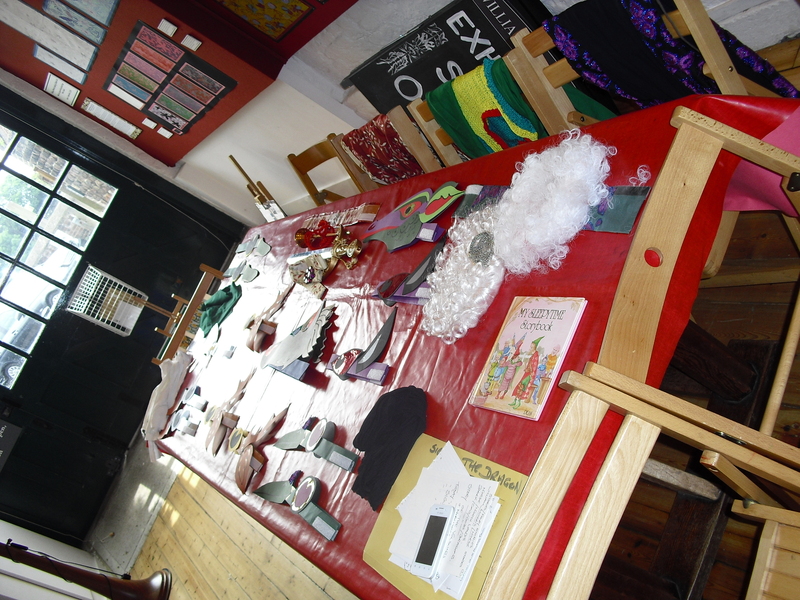 We regularly hold workshops for children during half-term and summer holidays. Please visit our Whats On page for details.